Hurricane Florence is upon us, and while we think about gathering up our possessions and protecting our homes, many of us are also thinking about the best way to take care of our pets when the storms come. 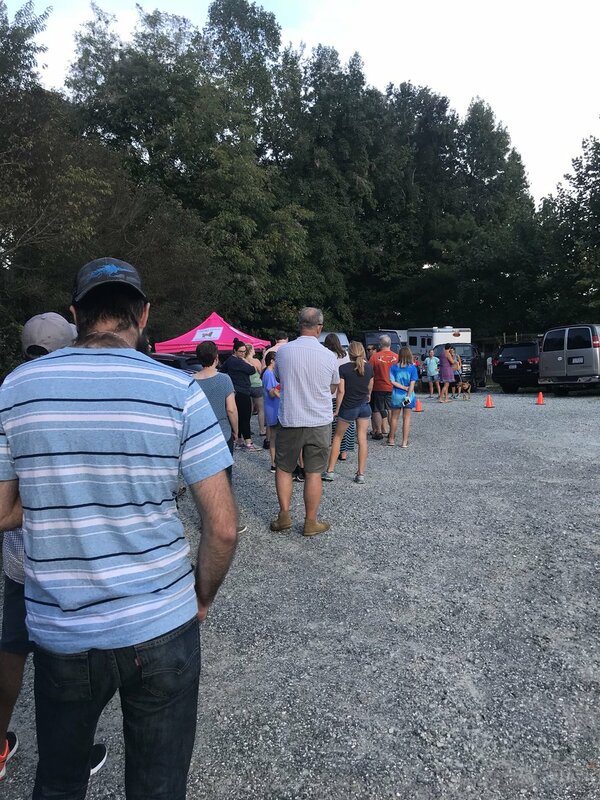 In a moment that reminds us not all humans are bad, people are lining up to pick up foster dogs to take care of them for the weekend so that coastal shelters can evacuate before the hurricane hits. Writer Ali Standish took to Twitter to share this good news story that might restore a little faith in humanity for the end of the week! Here are Standish and Floyd, the foster dog she just picked up from the shelter. We know somebody is going to be pampered this weekend! Standish is a firm believer in adopting dogs. 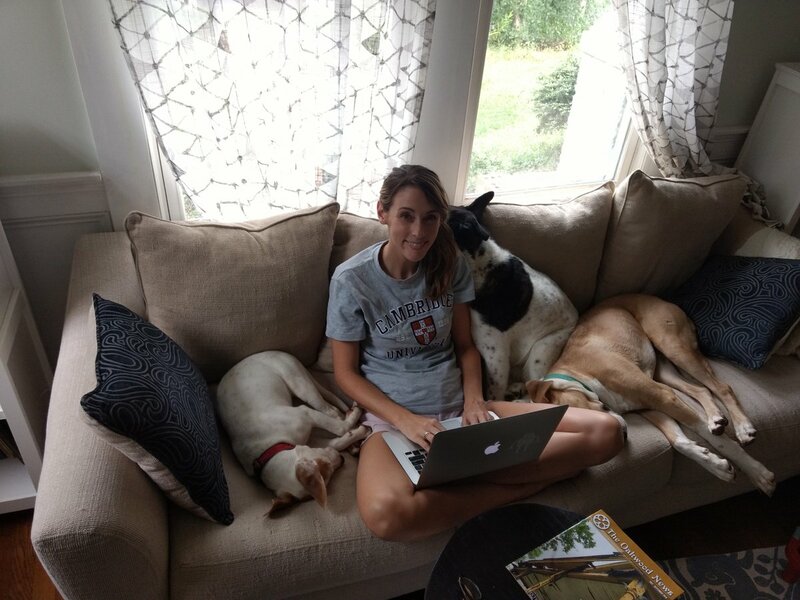 Here she is attempting to get some work done with her own adopted dogs and their new addition! Saving Grace NC is one of the numerous shelters calling for hurricane fosters and adoptions. Here are some wonderful fosterers lining up to take dogs home. Their Facebook page is filled with photos of foster dogs with their Hurricane Hosts! When a hurricane hits, our first thoughts are usually for our personal safety and the safety and well-being of our family and friends. This includes our pets because they are our family too. How terrifying it must be for these animals to get left behind, to deal with rain, rising flood waters, and wind howling all around them all alone? You should never leave a pet behind when evacuating because it not only puts your sweet pet in danger but also endangers first responders who need to go back to affected areas to perform rescues. If you are in the path of Hurricane Florence, we hope you and all your family stay safe. 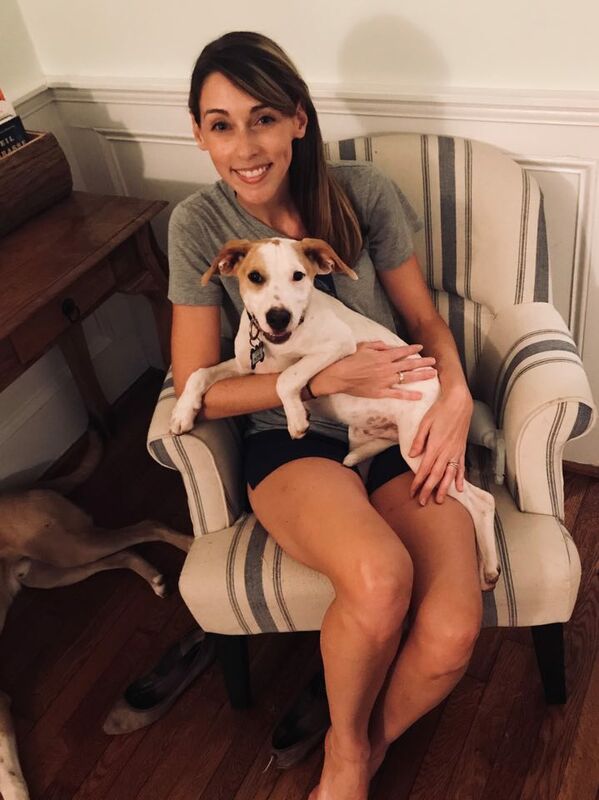 And for now, we will continue to thank heroes like Ali Standish and all those other fosterers helping shelters like Saving Grace NC do everything they can to protect those animals in their care. If you are in a position to become a Hurricane Host, please consider visiting their Facebook page.